when i said the picture of leopold & sugar was my first polaroid, i meant that it was the first polaroid i’d ever taken. 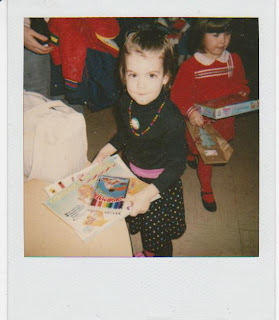 preschool christmas party, 1990, baby! This entry was posted in polaroid by Alison Kranz. Bookmark the permalink.